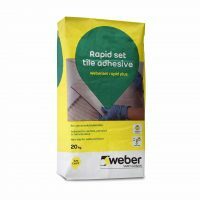 Browse a range of powder adhesives from Weber that boast an assortment of unique qualities suited to a variety of environments. 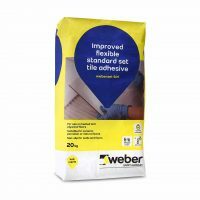 You can find powder adhesives perfect for fixing all types of ceramic tiles, porcelain tiles and natural stone tiles. Many are suited to both walls and floors and can be used in both interior and exterior environments. 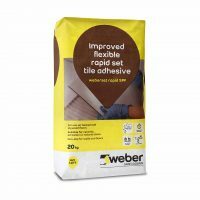 Whether you are tiling onto an existing floor or even a floor with underfloor heating installed we have powder adhesives to suit you. 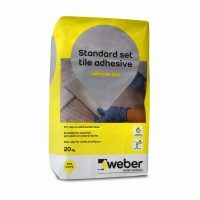 Allow your new wall or floor tiles to look magnificent with reliable tile fixing products from Atlas Ceramics.